GPSWOX is happy to present high quality android tracking apps that can help to find a family member, lost phone or track a vehicle. GPS Tracker for an android can be used with Samsung, Sony, Nokia and other phone brands. Want to follow your kid or husband, however you don’t want anyone to know that you are doing this? Understanding the concern, we kindly recommend to rely on our new and perfectly made app that is called hidden Mobile GPS Tracker. Android Tracking app that is actually hidden in yours and your following person phone can show the exact location, report when the person leaves home or goes somewhere else. Also, android GPS app appears as battery saver, so you do not need to worry that someone will see it. 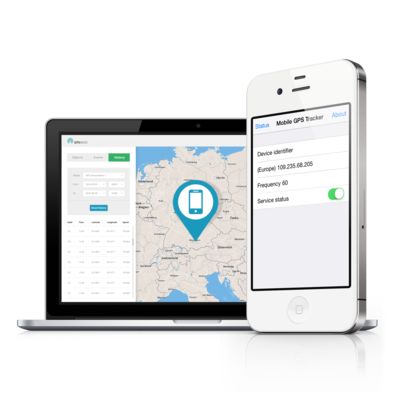 One more, the very similar Tracking app for android we offer is called invisible Mobile GPS Tracker. This amazing app can be downloaded on your phone that will ensure the safety of your family, phone itself, vehicle, pet or other stuff you care about. This GPS location android will also send real time notifications when someone will leave the geo zone you have marked, or when your kid will be missing. 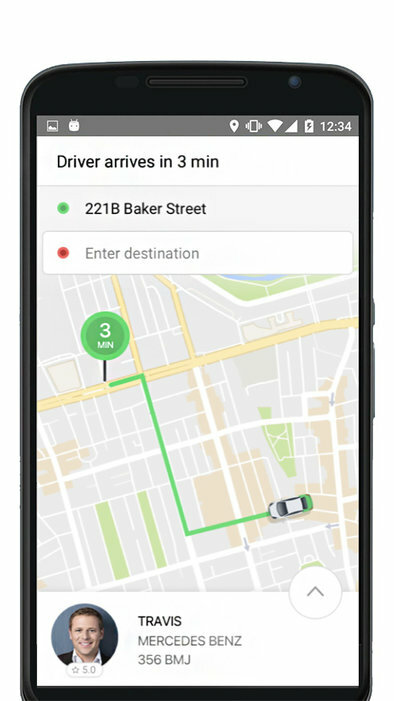 Available only for android, this GPS location app ensures personal safety, shows the exact location in real time and not to forget it can be used for fleet management. 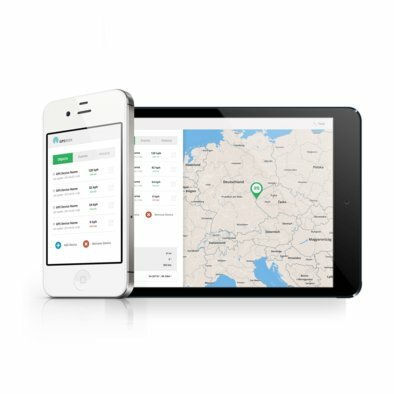 You can now control your company vehicles or employees work. Know their driving speed or their location. 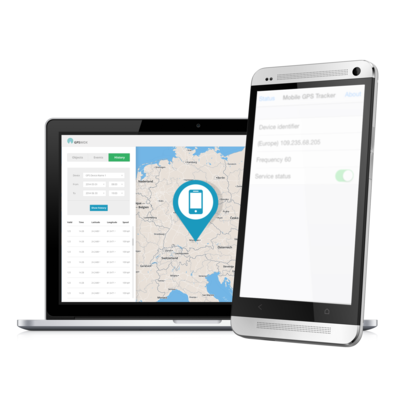 However, if you want to run your business even more carefully, we offer to download free SMS Gateway app to your smartphone and track your workers just from your phone. 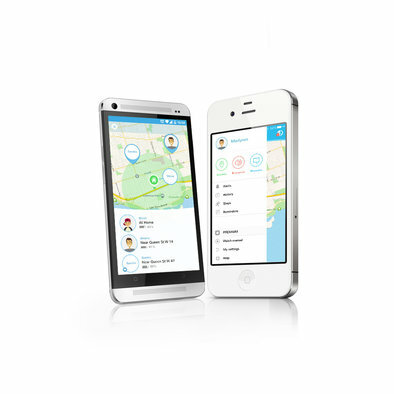 For an android, we also offer a GPS family locator that is recognized as one of the best android tracking app. You are curious what this app is about? It has been created to make people track their family every day, every hour and most importantly on real time. With the help of this app you can not only track and android phone, but you can track your kids, best friends, mother and everyone else. GPS software for android has been created in the most comfortable way to all consumers, that the use of this app would become very easy and convenient. Do not waste your time by searching your lost phone, looking for your kids or not answering employees in the ordinary way. Just get an tracking app for Android and make sure that things and people, who belong to you is safe. GPSWOX has launched a reliable and accurate Android tracking apps to help people find their family members, lost phones or track down a vehicle. The Android GPS app is compatible with all phones brands including Samsung, Sony, LG and Motorola. Android GPS tracker allows users to keep an eye on their children or lookout for partners without having to constantly message or call them. The tracking app for Android has been developed to locate or track someone discreetly. The Android tracking app is not visible to the other user so you can follow them on the virtual map without having to physically tail them. The GPS tracker Android shows up on your phone as a battery saver so even if anyone checks your phone apps they will be none the wiser. Another Android GPS app by GPSWOX is the Invisible Mobile GPS Tracker which lets users keep updated on the whereabouts of their loved ones or valuable possessions. It can track other phones or your phone through the complementary website which can be accessed using the username and password to login. 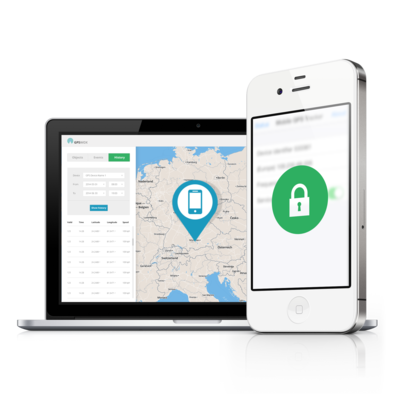 You can even set up GeoFences or safe zones for a person such as the home, office or school and this tracking app for Android also sends notifications in real time for when someone has left the GeoFence or is going at a speed above the limit. The Android tracking app is the best way to make sure your loved ones are safe and letting others know you are safe as well. Because the GPS tracker Android gives an accurate location in real time it is also used by businesses to manage their vehicles. The fleet can be managed from the office with updates on location and travelling speed sent periodically to the manager. To businessmen it is recommended that they download the SMS Gateway app as well so they can monitor the vehicles from their phone anytime and anywhere. Especially useful for delivery companies or car rental services who can keep clients updated on the location of the car. Also in case of last minute additions or changes in locations, the drivers nearest can be notified beforehand so the operation keeps running smoothly. The possibilities are endless with this Android tracking app for fleet management. Another one of their Android GPS apps is the Family Locator which offers the added utility of tracking multiple people simultaneously. It has especially been created keeping large families in mind as parents can track their multiple kids or pets using it. The family tracking app for Android is easy to use and also includes the option to receive updates on everyone at scheduled intervals. There is no need to switch windows to track several people since this app shows all the people you care about with their current location on a single screen. The apps offer fast results and have made it convenient for family members to know where everyone is at all times without worrying constantly as periodic updates keep users well-informed of changes in location. There is no need to worry about losing your phone or constantly having to look for it especially when the volume is muted. The GPS tracker Android can help you locate it in an instant. Even if the phone has been stolen you can hunt down the location and notify the police to recover the device. The Android GPS app allows tracking through mobile phones using the SMS Gateway app or via the supporting website as well. It has a use-friendly interface with an intuitive design which anyone can learn with ease.